Following the no-show of the board of the Passenger Rail Agency of SA at Parliament’s Portfolio Committee on Transport on Tuesday, the UDF Veterans Network in Cape Town has delivered a letter to ANC President Cyril Ramaphosa about “the collapse of the rail system in Cape Town and beyond”. By MOIRA LEVY. The letter alerts the ANC President to the closure of the Passenger Rail Agency of SA’s (Prasa) Central Cape Town line used by thousands of commuters from Cape Flats area like Khayelitsha and Mitchell’s Plain, which has been closed for more than a month and shows no sign of reopening. The UDF Veterans declare in the letter, which was hand-delivered to Ramaphosa on Wednesday, that the railway service had “all but collapsed due to rampant corruption (in Prasa), comparable to the scale of corruption at Eskom and other SoEs. 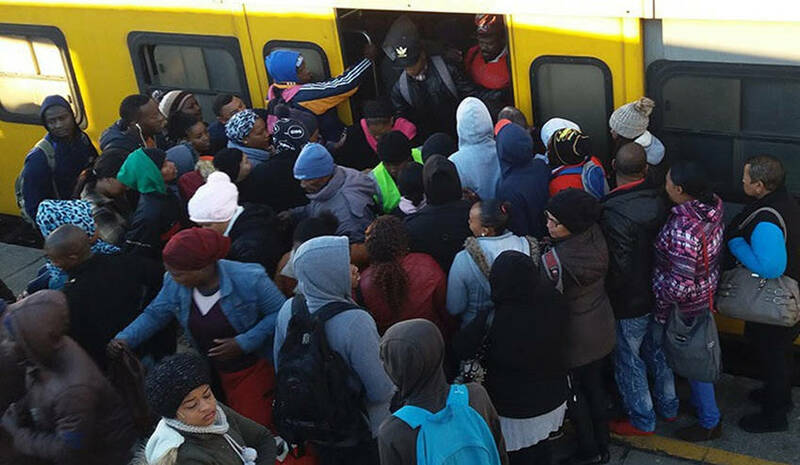 It has been conservatively estimated that R14-billion has been looted from Prasa”. The letter from the UDF Veterans asks “if it is possible to restore Popo Molefe to this position, (as) this would greatly speed up the process of rebuilding Prasa as he is already fully aware of the dire state of this SoE”. The UDF Veterans openly declared support for Ramaphosa, congratulating him for his election to the position of ANC president and commending him for the “speed and vigour” with which he has already acted against the corruption “which has plagued South Africa and which continues to do so in many parts of the country”. The UDF Veterans are a collection of now mostly middle-aged individuals who were once active in the United Democratic Front or UDF, which mobilised hundreds of thousands of ordinary citizens against apartheid in the 1980s. The UDF Veterans were formed last year out of a sense of personal responsibility for the collective failure of the ANC government to change the lives of millions of poverty stricken South Africans.